This is a fresh looking, modern album with a hard cover, which gives excellent protection to the photos inside. 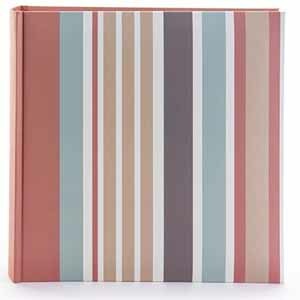 The stripes are brightly coloured and of various widths and the album has a broad salmon pink band at the spine edge for added interest. The plain salmon pink colour on the edge, continues around the back of the album, so contrasts really well with the front cover and the bookbound, white pages are made from high quality card, which gives the album an expensive feel. There are memo areas at the side of each clear, plastic pocket on which to write notes and the photo is slipped into the pocket from the spine side of the page in landscape mode. As each page has two pockets per side, the pictures are displayed one above the other giving a total of four display areas per page. 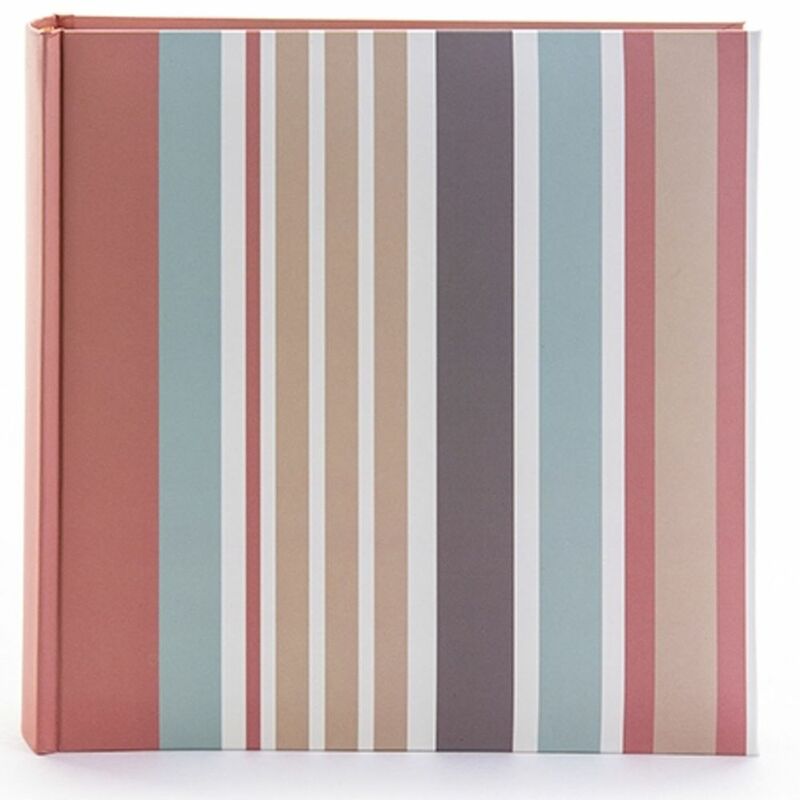 The overall size of the Candy Spots Album is approximately 10 x 11 inches and it will take upto 200 7 X 5 prints in total.